The Dansko Tomato Full Grain from the Brigitte collection. 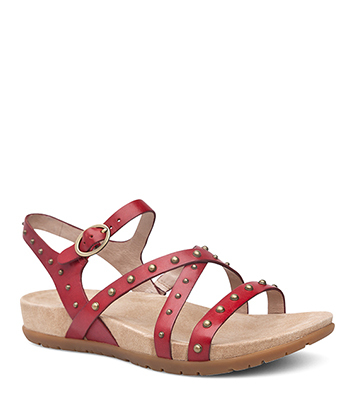 Make an entrance with the bold and studded Brigitte! 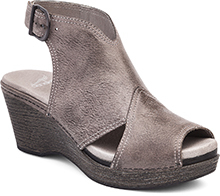 Designed with a soft suede socklining, and molded memory foam footbed, comfort is key in this trendy design. Full grain leather is a smooth and water-resistant leather that does not break down in environments with wet, acidic or greasy conditions.